Jennie Formby, who took up the post in April, has “staked her career on dealing with anti-Semitism in our party”, he told Good Morning Britain. 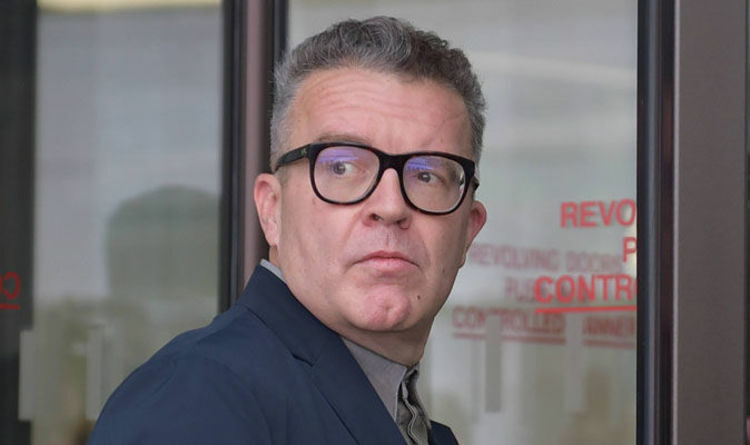 Mr Watson admitted that the issue should have been dealt with earlier but defended party leader Jeremy Corbyn, saying he was taking the issue very seriously. Earlier this week, Mr Corbyn refused to intervene to prevent local activists targeting his internal party critics on subjects including anti-Semitism, with MPs including the chairman of Labour Friends of Israel targeted by no confidence votes. Mr Watson told GMB: “We should have dealt with it earlier. We have hired a new general secretary who has staked her career on dealing with anti-Semitism in our party. READ Philip Hammond on Boris Johnson chances of being PM "Report"
She vowed to introduce procedures to deal with complaints and disciplinary cases, and said the “stain” of anti-Semitic attitudes must be “completely eradicated” within the party. Mr Watson also called on Momentum leader Jon Lansman to “deal with” the decision to allow an activist who has been accused of vandalising the Warsaw Ghetto to speak at its Labour conference fringe event. Ewa Jasiewicz, who reportedly wrote pro-Palestinian messages on the last remaining wall of the ghetto where tens of thousands of people died during the Second World War, is due to address the grassroots movement’s The World Transformed event. Mr Corbyn and shadow chancellor John McDonnell are also among the listed speakers on other days.